Aww… I set up my defense map, but I still can’t protect my Aether Keep. What should I do now? What?! You mean I can hold mock battles to test my defense map’s…defenses?! Thank you, Alfonse! …But why didn’t he just tell me that in the first place? And how did he know to put those specific details in his letter? 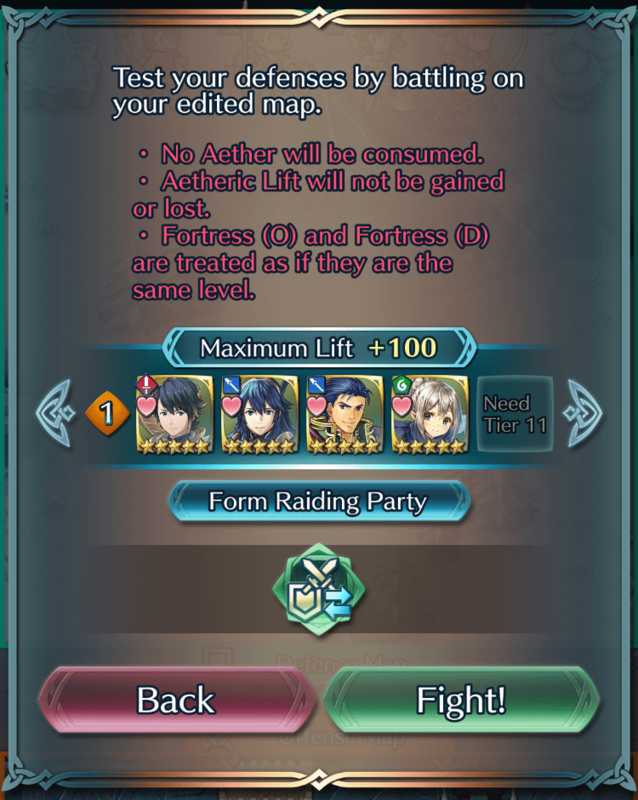 Select Edit Aether Keep, and then Test Defense from the Help & Extras menu to engage in a mock battle using your defensive map. This will not consume Aether, so you can freely make use of this option to ensure there are no gaping holes in your defenses. See if you can come up with a layout that you can’t beat! Check Defense Results and View Replays! 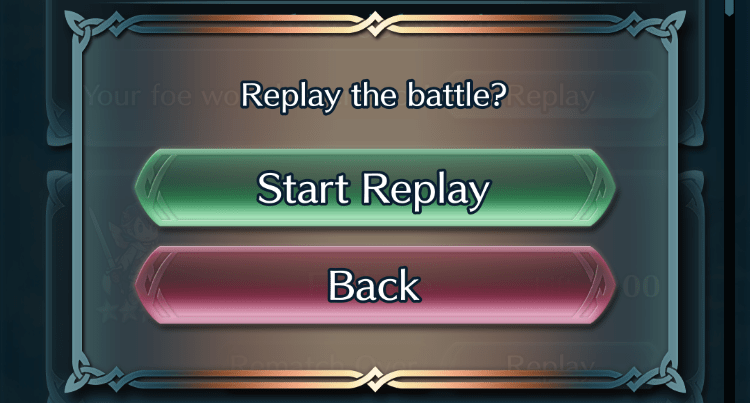 You can watch how your rivals from other worlds attacked your keep by tapping the Replay button for battle results listed on the Defense Results screen. This lets you watch the battle as it happened, helping you to spot weaknesses that you can improve on. You can also check your foes’ raiding parties and the placement of their offensive structures, which could give you some ideas for your own raids and help you to improve your strategy. The Rematch feature lets you challenge a rival who attacked your defense map. This requires the same amount of Aether as a normal battle. You cannot challenge someone to a rematch if they attacked your keep through a rematch of their own, or if you have already successfully had a rematch against them.